During the month of May, we are featuring artwork from local artist Christine Cortese! 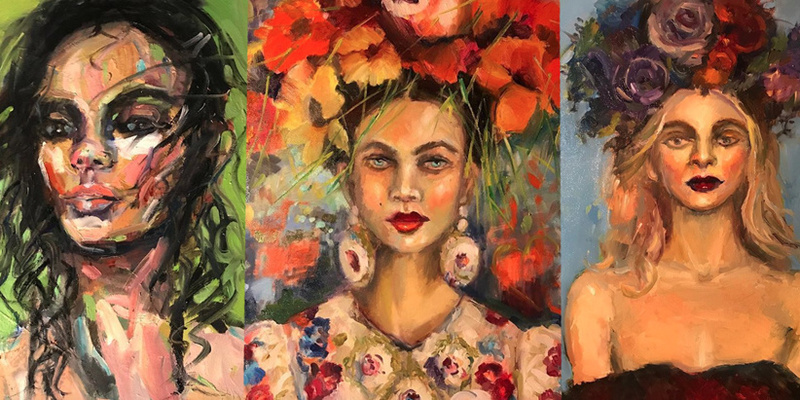 Stop by during Art After Dark on May 3, 2019 from 6-9 p.m. to see her work. Her paintings will be up all month long. During Art After Dark, we will also feature live music by local musician Mark Ruffing. Complete with wine and snacks, it promises to be a fun evening. We look forward to seeing you! More info at Christine's website. Art After Dark is a free monthly event in downtown San Luis Obispo, California. On the first Friday of every month, local shops keep their doors open late, from 6pm-9pm, to support the arts by featuring a local artist. HumanKind Fair Trade participates every month with live music and refreshments in addition to the local artist. More information and listings of all participating venues can be found at Arts Obispo.